A few posts ago, we listened to Ray Charles sing Georgia on my Mind. It is a beautiful song written in 1930 by Hoagy Carmichael (music) and Stuart Gorrell (lyrics). Gorrell wrote the lyrics for Hoagy’s sister, Georgia Carmichael and it was recorded in 1930 by Hoagy Carmichael. 2) in the various versions of Reynard the Fox, the first of which is Nivardus of Ghent’s the Ysengrimus (1148 or 1149) a long — 6,574 lines of elegiac couplets — epic Latin fabliau or fabliaux and the birthplace of Reinardus or Reynard. In other words, The Tales of Uncle Remus are not coyote tales, nor are they related to Anansi (spider, as in spider-man) tales, except, perhaps, remotely. The Anansi tales were probably brought to North America and the Carribbeans by black slaves except, perhaps, remotely. The Anansi tales from West Africa. The Tales of Uncle Remus are mostly European tales and, in particular, French tales and trickster tales. I suspect, however, that they are also rooted in African tales. Born Reinardus, in Nivardus of Ghent’s Ysengrimus, the above-mentioned mock–epic poem, Reynard is indeed the trickster par excellence, the wolf, his nemesis, are anthropomorphic animals, which means that they have human attributes, the most important of which is their ability to speak. In literature, authors use speaking animals to say something without saying it. Such narratives are often described, in French, as a dire-sans-dire (to say without saying) and are usually defined as an oblique discourse. 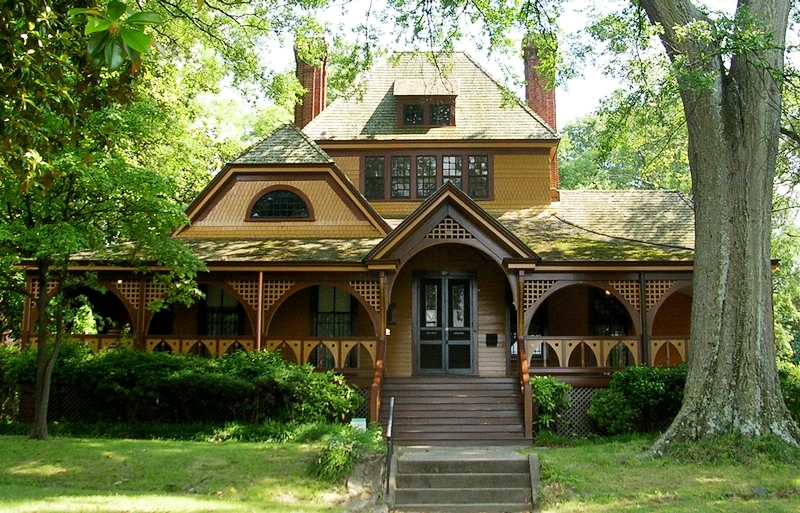 Assuming that Joel Chandler Harris, who lived in Georgia, is not Uncle Remus, how did Uncle Remus, a black raconteur also living in Georgia, learn Æsopic fables and Reynard stories? Provenance is our first mystery. In the middle of the 19th century, La Fontaine was translated into the various patois or dialects, créole in fact, of the French Carribbeans. [i] But, with respect to the tales of Uncle Remus, my best hypothesis would be that Uncle Remus heard his tales from Acadians[ii] deported as of 1755. Many of the ships filled with Acadians sailed down the east coast, from colony to colony, but the deportees were refused asylum by British colonies north of Georgia because they were Catholics. In Georgia, they were finally allowed to disembark. This takes us to our second mystery. Why were these tales told a black slave, or black slaves, rather than a white man? Regarding this issue, my best hypothesis would be that we are dealing with a matter of social status. It could be that the social status of deported Acadians did not differ much from the social status of black slaves. The deported Acadians had spent weeks on ships. They had lost their homes and had been separated from wives, husbands, brothers, sisters, and other loved-ones. So, although they were not persons of colour, they were poor, deprived of their families and they had been exiled. In all likelihood the deported Acadians befriended the slaves rather than their owners. As mentioned above, what I have written is hypothetical, but it makes sense. Just as it makes sense that the melody of Oh Shenandoah could have been a voyageur melody. 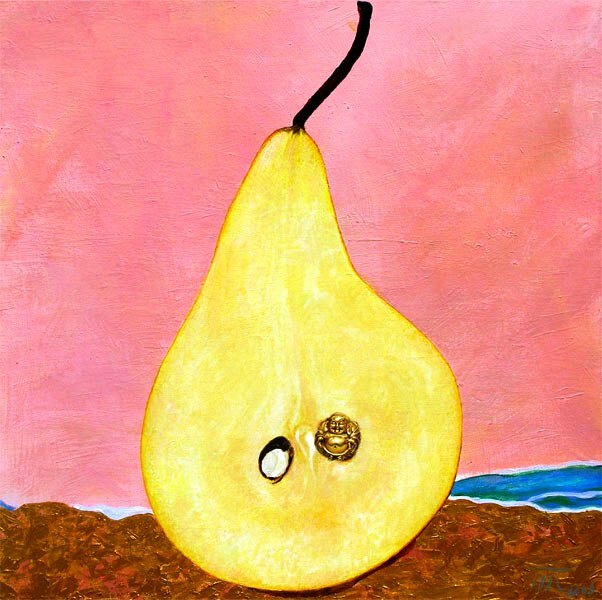 As we know, there was a voyageur, Bonga, a name that could be derived from bon gars (good guy), who could easily have transmitted the melody. In fact, Bongas may have been a former black slave who had lived in Louisiana. In the latter part of 1880, Joel Chandler Harris (9 December 1848 – 3 July 1908) published Uncle Remus: His Songs and His Sayings. Until then and for many years, Joel Chandler Harris’s Uncle Remus stories had been published in various magazines. They were popular and had become an integral part of American culture. Joel Chandler Harris was therefore approached by D. Appelton and Company and asked to compile the stories so they could be published in book form. No sooner said than done, which takes us to the Tar–Baby story. The Tar-Baby story is a key story, if not the key story, in Joel Chandler Harris’s Uncle Remus. In the Tar-Baby story, Br’er (Brother) Fox makes a doll covered with tar and turpentine. Br’er Rabbit sees the doll and starts punching it because it will not respond to him. As a result, Br’er Rabbit gets stuck to Tar-Baby. In order to be freed, he begs Br’er Fox not to throw him in the briar patch. 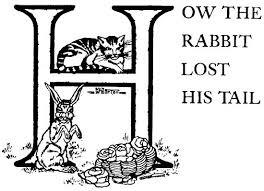 Br’er Fox does not suspect a ruse, so he throws Br’er Rabbit in the briar patch and the rabbit is again free. 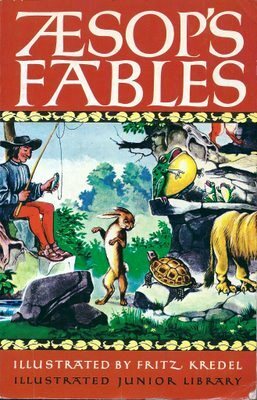 So now we know, albeit hypothetically, how Reynard the trickster might have travelled to Georgia and we also know that Br’er Rabbit proved the better trickster than Br’er Fox. In North America, the fox ceased to be a trickster. Finally, we can understand why Reynard stories and La Fontaine’s largely Æsopic fables were told to a black slave rather than a white man. “Tar baby” has since been used as a metaphor. It describes a sticky situation that intervention makes even stickier. The more you try to solve a problem, the greater the problem. But according to Wikipedia, “tar baby” has become a racial slur. The best is to quote Wikipedia. 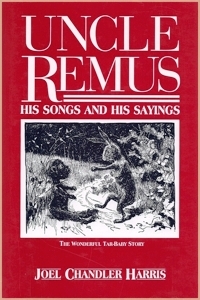 For the time being, I will continue to look upon The Tales of Uncle Remus as the moment when Reynard stories and Æsopic fables sailed down to Georgia with the deported Acadians (“Cajuns,” US) and were told Uncle Remus and committed to writing by Joel Chandler Harris who used an eye dialect, or nonstandard spelling replicating, more or less, African-American pronunciation. 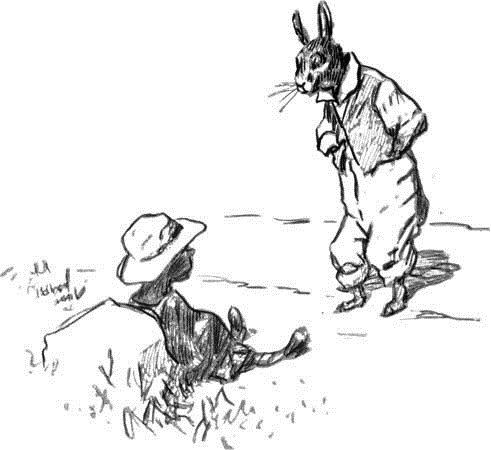 So there may exist a French connection to The Tales of Uncle Remus, except that in North America the rabbit will replace the fox and that tales originating in India were undoubtedly reshaped by an African collective unconscious. 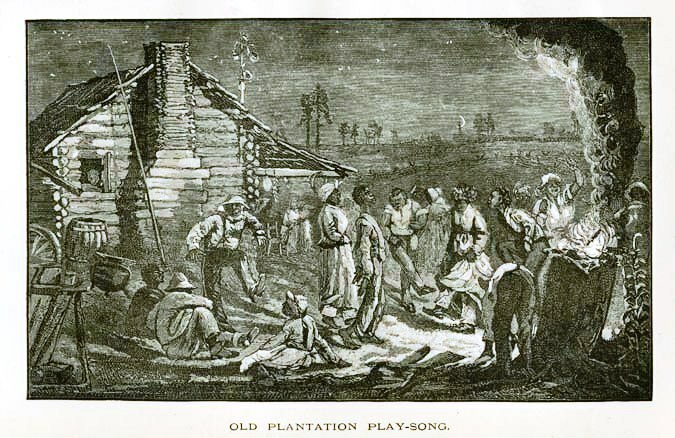 In other words, deported Acadians would have told Remus his tales, just as the voyageurs, perhaps Bongas himself, gave its melody to Oh Shenandoah, thereby creating another French connection. And, in the case of The Tales of Uncle Remus, we owe a debt of gratitude to Joel Chandler Harris who took the time to commit the tales he heard to writing. It is sad, however, that tar being black, tar baby should be acquiring a racial connotation. In 1946, Walt Disney produced the Song of the South, a film based on Uncle Remus. There is a video of this song on YouTube, which I am not embedding. I have written several posts on Reynard the Fox and have included links to these articles.